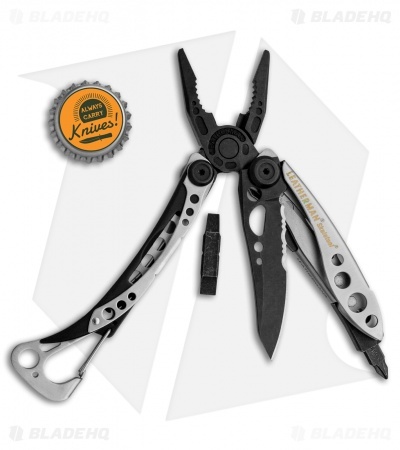 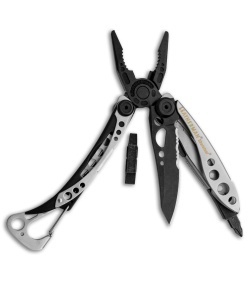 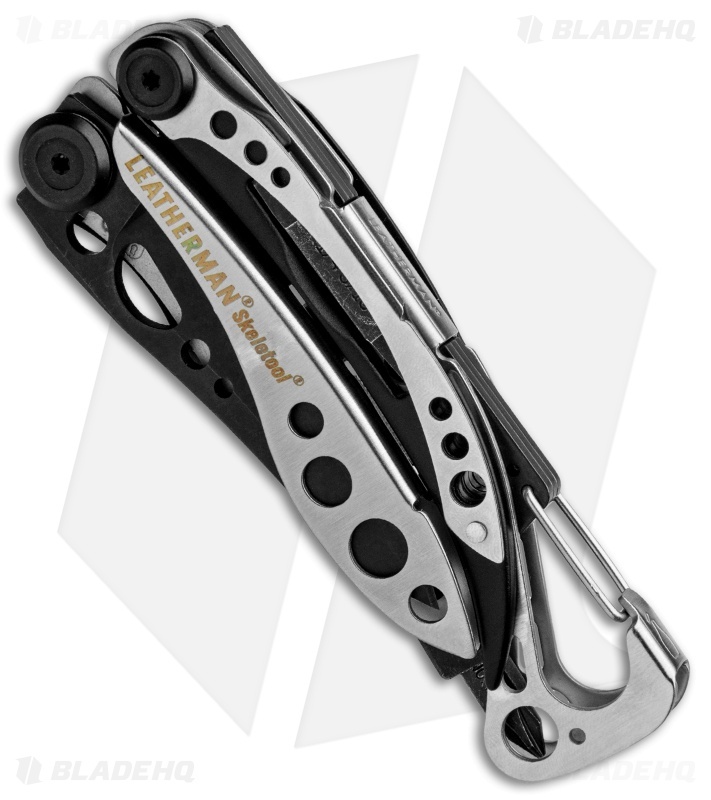 This Silver & Black Skeletool model features a stylish two-tone design with a silver handle and black tools. 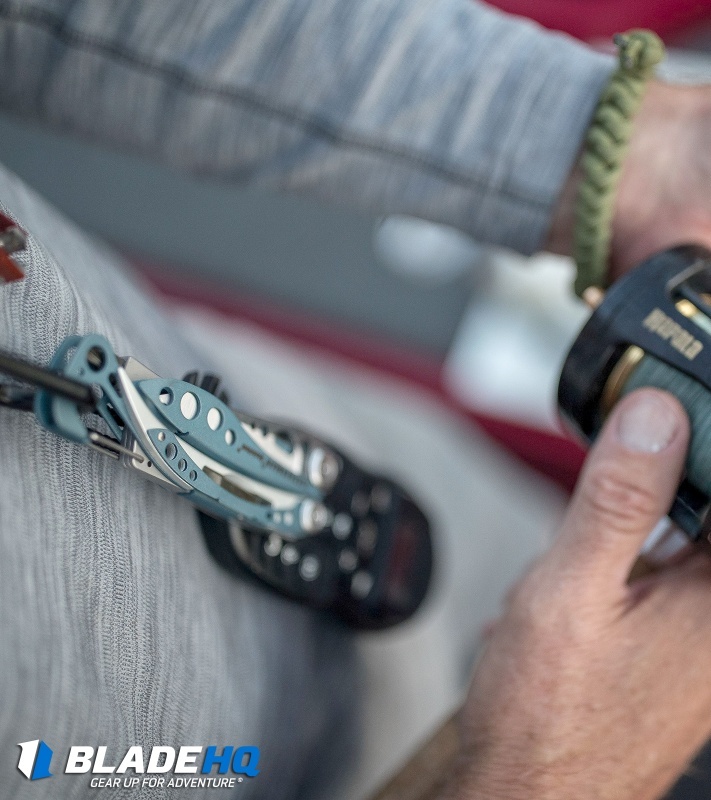 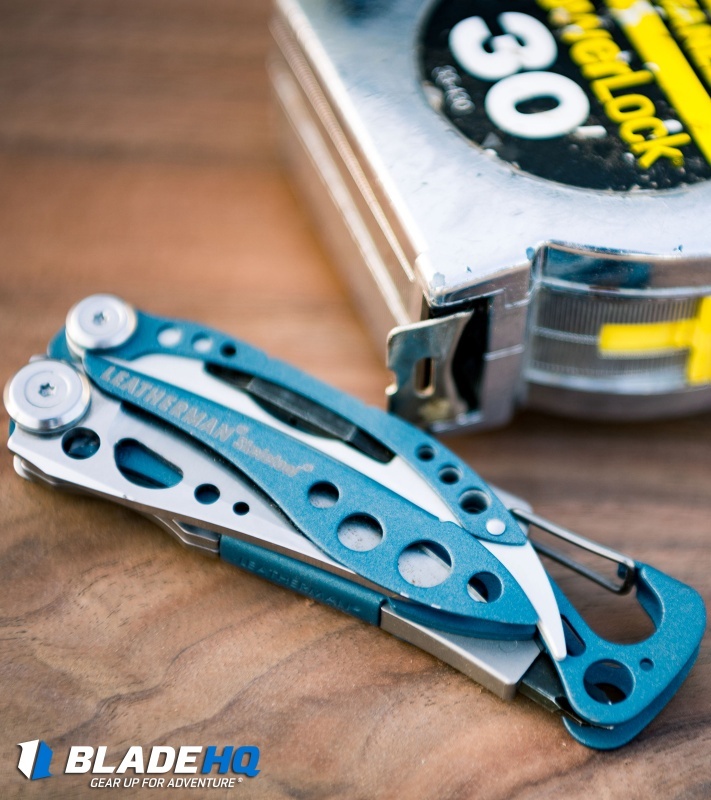 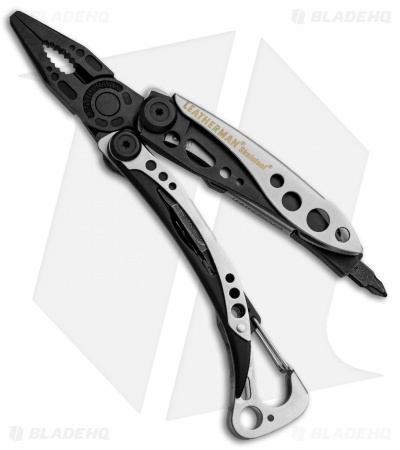 The Skeletool multi-tool from Leatherman features strong pliers, a liner locking 420HC steel blade and large bit driver, with an extra bit fit snugly in the handle. 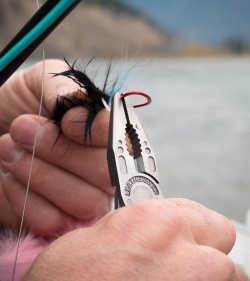 Includes a removable pocket clip and carabiner/bottle opener.. 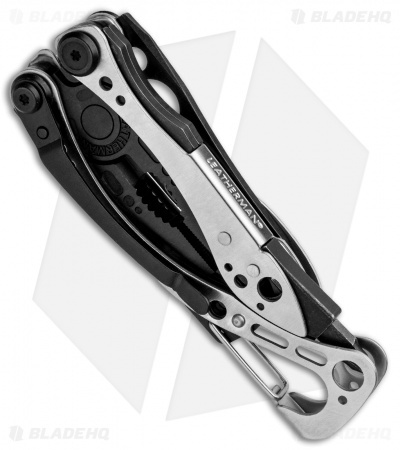 Bits: Phillips #1 & #2, Screwdriver 3/16"